Danuta selected as top four up-and-coming entrepreneurs who made the best pitch at the annual Startup Champions Seed Night. Watch us on CNN Money and see how we will take our startup to the next level. We invite you to meet us in Amsterdam at ECCMID 2019 (13 - 16 April 2019) and learn more about our rapid AST approach, see the product and discuss the future cooperations. Meet us any time at the booth 1.107! D.Day 2019 – Discover what your neighbours are working on! Resistell was selected as one of ten new startups have been selected for Venture Leaders Life Sciences 2019. Chosen from among the most-promising life sciences startups in Switzerland, the team will embark on a packed, week-long roadshow in Boston. The startups will also pitch at the Startup Champions Seed Night event in Lausanne on 11 April. 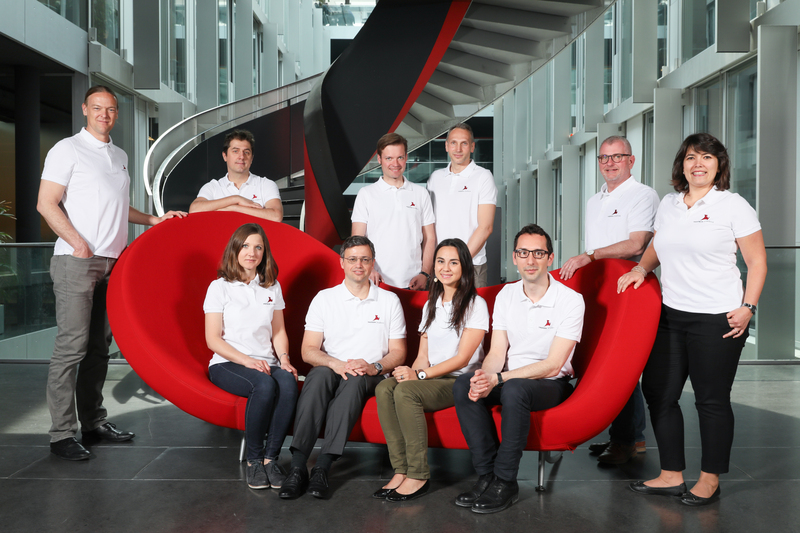 Bilan selected Resistell as one of the Top 50 Swiss startups in which to invest in 2019! We are proud to be on the prestigious list with our rapid AST technology! We thank everyone who visited our scientific presentation in Berlin at Novel Antimicrobials & AMR Diagnostics Conference (14-15.03.2019). We are looking forward to all new future partnerships and collaborations! The jury of industry experts and investors selected Resistell to receive the highest level of Venture Kick’s financial support to bring their businesses to market. Resistell AG a finalist of the Swiss Technology Award 2018! Join us at the annual meeting of the Swiss Society for Microbiology held within the CHUV, Lausanne. We are please to share that on 07.06.2018 in Zurich, Resistell has received the Swiss Nanotechnology Startup Award for the Best Nanotechnology Startup 2018. Last week, we competed with over 200 startups from 31 countries in final judging round at Campus Biotech in Geneva. We are pleased to inform that Resistell AG qualified to the finals! 31.05.2018 - Resistell's team has won the Venture Kick stage 2! SNSF NRP 72 Antimicrobial Resistance about Resistell. On 02.03.2018 the Resistell team presented at Novel Antimicrobials and AMR Diagnostics conference in Berlin. Our MVP attracted a lot of attention! We invite you to meet us in Berlin at Novel Antimicrobials & AMR Diagnostics Conference (02.03.2018). We welcome you at our stand and invite to see our pitch. Im Rahmen des ersten Swiss Diagnostics Start-Up Day 2017 an der Fachhochschule Nordwestschweiz präsentierten sechs Start-Ups aus der Biotechnologie und Diagnostik ihre Geschäftsideen einer Expertenjury. Congratulations to the Winner of the first Swissbiolabs Challenge, Danuta Cichocka for her great presentation and innovative idea!